Hi friends! Every year I do a mid-year curriculum review just to assess our curriculum choices, make sure we’re on track, and that the curriculum is performing well for us. 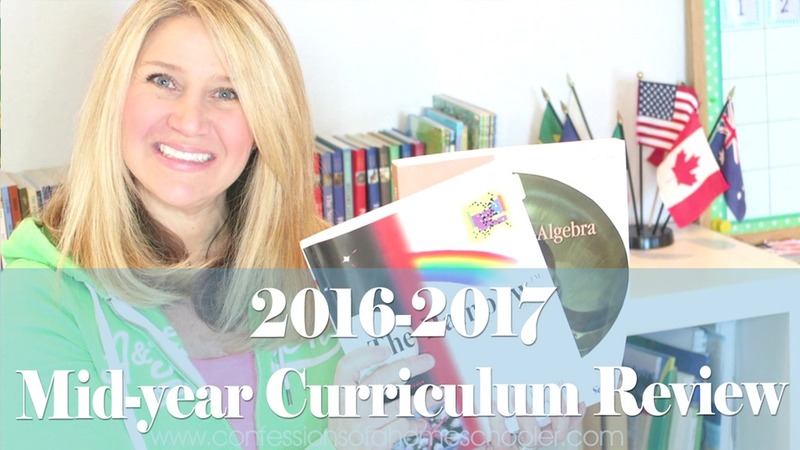 Mid-year is a great time to make any curriculum changes, start something new, and just freshen up your curriculum! So far this year we’ve been really happy with everything we’ve selected, but we did change up one subject and I’m so happy we did! 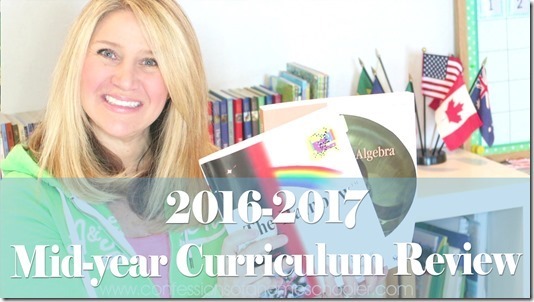 Find out what we changed, and how things are going for us this year in my 2016-2017 Mid-year Curriculum review! Click here for more information and links to the specific curriculum we’re using this year! This year Turbo and Miss Lady Bug are both playing ice hockey. And all four kiddos are swimming as well. Once spring hits we usually move over to golf, swimming, and inline hockey. So they stay quite active! Are you still liking Fix It Grammar? That was the one I was most interested in besides the IEW because I knew those were big changes. I was wondering what you and your kids thought? Yes, we are continuing to use it, and we really like it! After your review of iew I finally got up the nerve and tried it out. I should have took a video of my 11 yr old son. He said he LOVES it and he finally understands it. For the first time EVER he is excited about writing! Thanks! Yay! So glad it’s working for you! How do you find out about options for homeschooling kids to visit and participate in public school activities?? Just wondering….. Contact your local school district to see if they have an options program available. Also, even if they do not have an options program, many do allow students to come in for specific classes or join sporting teams as well. Wondering if you could provide a link to The Rainbow Science Curriculum? It’s so important to look over what we’re using at mid-year and make sure it’s still working like we wanted it to! Thanks for posting this. 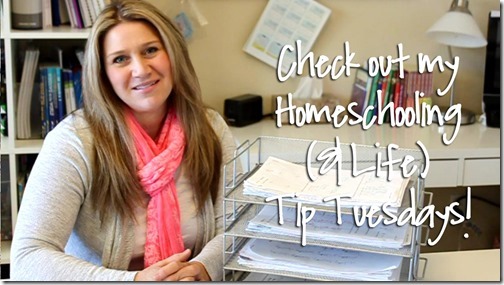 Thank you for sharing your homeschool life with all of us! Does Math U See cover remainders with fractions in Delta or Espilsion? We are considering changing to this curriculum but I am worried it may not cover everything other curriculums cover. What are your thoughts? Fractions with remainders are started in the Delta while doing division, and fractions adding/subtracting/multiplying/dividing are covered in Epsilon. 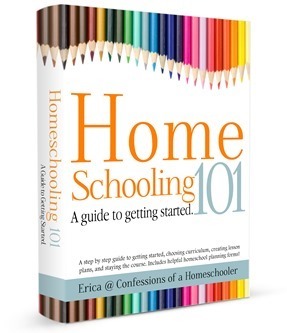 Hey Erica, I purchased the Homeschool 101 but I’m unable to print my planner and forms. I do not see anywhere under planners that it allows it. My apologies! I’ve got them now. I had to do it on my Mac. Thank you and I’m getting ready to purchase curriculum :-). I love the planner and forms! Blessings. Homeschool Buyers Coop – Wordly Wise 3000 and Word Build vocabulary – one is Greek / Latin roots. The other is reading passages by grade level. Amazing! Worth every penny. I usually recommend starting with Expedition Earth and then moving to Road Trip the following year. But you can really do whichever you prefer with the ages of your kiddos. What do you do for “Game Theory & Problem Solving”? That intrigued me & would like to incorporate something for my kiddos (an accelerated 1st grader & a 4th grader on the Spectrum, High functioning) Thank you! They did game theory at their options program and they did a variety of activities that worked on their logical reasoning skills.